The popular reality show of ABS-CBN Kapamilya network Pinoy Big Brother Teen Edition announced the first evictee in the house of Kuya. The four nominated for eviction are Kit, Mariz, Vince and Claire. But among the four nominated, there will be only one evictee and that is "Vince Manlapaz." He is the first evicted from the house of Big Brother Teen Edition Season 4. Vince is known as the lazy boy inside the house. And the reason why he got nominated just because he is timid and lazy especially with the house chores. 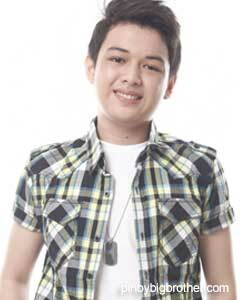 Farewell PBB teen housemates Vincent Manlapaz, may your journey continue outside the real world. Comments or suggestions about "Vincent Manlapaz PBB Teen Edition 4 First Evictee" is important to us, you may share it by using the comment box below.